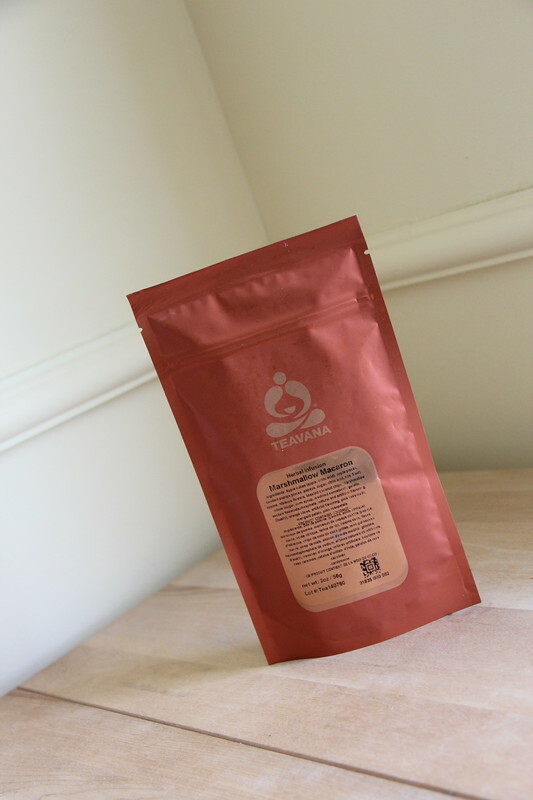 I finally gave in last week and went and looked at the Teavana site. I had resisted before now because I had made one trip into their store and was really put off by the attitude of the sales people. However, I had enjoyed the samples I have tried and I was super curious about their rock sugar, so I decided to browse the site. Many, many delicious things jumped into my cart. Today’s selection is Marshmallow Macaroon. 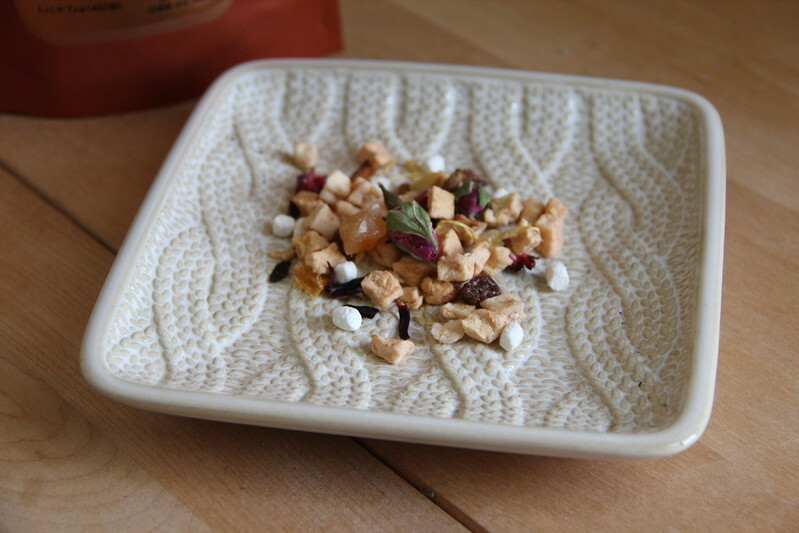 From the package the ingredients include: apple cubes, candied papaya, raisins, hibiscus flowers, toasted coconut chips, marshmallow minis, orange slices, pink rosebuds, marigold petals and pink rose petals. The tea is available in multiples of 2 oz for $7.98. When I opened the package all I could smell was the delicious sweet marshmallows – I would have known instantly what this tea was just by the smell. As it was brewing, I also smelled the citrus. Once brewed, it was sweet and a little tart. The hibiscus and citrus really balanced the marshmallow sweetness. This was delicious and desserty – a real afternoon treat.